EVEN though Rebecca Long Bailey was plucked from relative obscurity when she joined Jeremy Corbyn’s top team as Shadow Business Secretary, she has become one of the more serious political figures of this Parliament. Entrusted by her leader to take part in cross-party talks between Labour and the Government over Brexit, the Shadow Cabinet member has also been at the forefront of the debate over the future of high streets. Shadow Business Secretary Rebecca Long Bailey has set out Labour's plans to create a network of Post Banks. An issue which continues to be highlighted by The Yorkshire Post, Ms Long Bailey has actually had the foresight to come up with a policy plan of her own which extends beyond the daily and routine criticism of Government ministers. 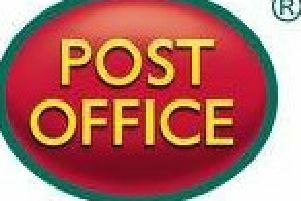 Outlined in today’s newspaper, Ms Long Bailey proposes the creation of a Post Bank which would have 349 branches in Yorkshire alone and effectively give the Post Office the financial freedom to offer a greater range of banking services than at present. Yet, while opponents will argue that Labour has no place running financial services, Ms Long Bailey’s plan should be used now as the starting point for an immediate cross-party debate about the future of town centres. It would also be the responsible course of action. For, if not, the rate of closures will only accelerate and cause even more damage to high streets.